We’re going to school on the subject of how to use Instagram stories. That’s right; if you’ve only just begun to discover the stories feature, you’re going to want to know how to do it right to make it investment worthy of your time. People see massive results with Instagram Stories and now is the time to perfect it as a personal brand entrepreneur. There are over 600 million monthly users on Instagram. Those are numbers you don’t want to ignore. Better yet, Instagram Stories gives you incredible data on your audience. You can see who’s viewing and who’s viewing to the end. Checking your stats regularly is a great way to see what stories are resonating with your audience to plan your content strategy. I had a conversation with Sue Zimmerman, the Instagram expert, and she blew my mind with knowledge bombs on this very hot topic. 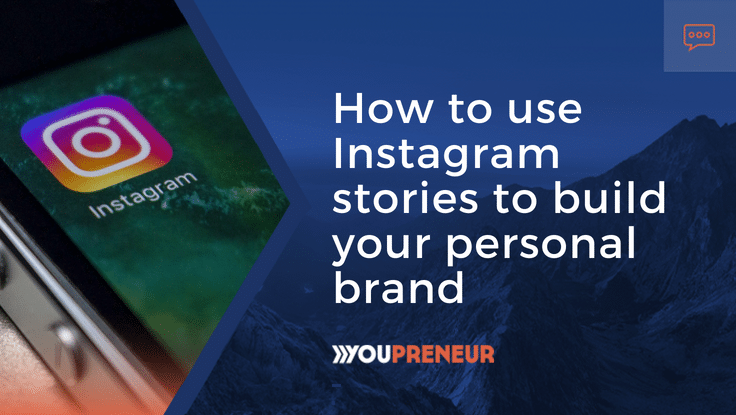 We’re going to break down not only why you should use Instagram Stories, but also how to use it to build your brand and revenue. Unfortunately, here’s where a lot of people get stuck. If you have a story you want to add to throughout the day, you can create your story, download each clip, and save it to your camera roll. Don’t post it to Instagram until you have all the pieces of the story you want to share ready to go. Putting your stories out in a timely manner like this is critical. You’ll lose people if you don’t complete your story in one sitting. Remember that you can include photo or video and that stories disappear after 24 hours. When you create a story, your profile picture will appear in the profile grid at the top of your followers Instagram feed. You can view your own story by clicking your profile image in the top left corner. If you record a live video, this will also appear in the profile grid at the top of the feed. To create an Instagram Story, press the home icon then swipe right or click your profile icon at the top left of the screen. Tap and hold the record button or use the hands-free option by swiping left. There are three different markers or ‘tools’ you can use to add text to your Instagram Stories, but don’t get overwhelmed by this. You don’t need to use every color in the rainbow. Stick to your brand colors. The more consistently you do things in a branded way with your stories, the more memorable they’ll be. There are 27 colors in stories which you can choose from at the bottom of the screen, but if you tap on any color and hold it down, you can find your brand hex color. Remember, every word can be a different color and size. You can use the slider on the far left to change the size of the text. When you want to make a point with a call to action or quote, type one word, save it to your camera roll, and upload the post. Add to the quote with each post, and you change the size and color of each word you type. To top it off, you can use the highlighter to bring attention to your words. Instagram is one-upping Snapchat with their creative stickers. The three stickers that remain constant are the time of day, location, and temperature. Why is that important? People feel connected to you the more they know about you. When they see it’s freezing wherever you are, that starts a conversation. Listen up; the location sticker is the most relevant sticker to use consistently. You get 79% more engagement when you use a geotag on your Instagram pictures. You can get the attention of brands, businesses, and influencers in your area if you use your location in stories. Whether your business is based local or online, at the end of the day, people like to know where you are. One thing you want to be aware of when you’re looking at the effectiveness of your stories is understanding how many people are responding and engaging with you. Give that subtle call to action by asking a question about your story. Tell your audience their reply is important to you. Keep your direct messages on so your audience can reply to you! Messages can be sent with text or video. You have a minute to record a video to send back, and that’s where the surprise and delight come in. 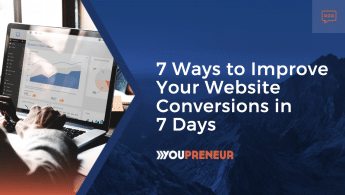 Your audience will love getting a personalized message from you. And you should be responding – this is your chance to intimately connect with them. Remember that you will only be notified about DM’s from people you follow so be sure to check the “Others” folder on a regular basis. Create a custom link you only share in your stories to track if your audience is going to the place you’re sending them. 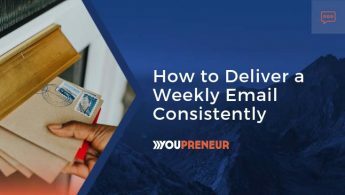 Ultimately, you want to get people on your email list. Giving exclusive content through your Instagram Stories will tell you just how well the strategy is working for your business. The magic of this comes from the time sensitivity of the story. In 24 hours, your deal is gone. It’s important to incorporate your personality and character into Instagram Stories. The essence of this social media platform is showing things that you don’t show anywhere else. If you feel like you don’t have time for Instagram Stories, it’s probably because you don’t know how to do it. The minute you take the time to work it out and learn how to get great results, you’ll have time for it, and you’ll enjoy it.